The main through lines at Bury Bolton Street station in March 2008. 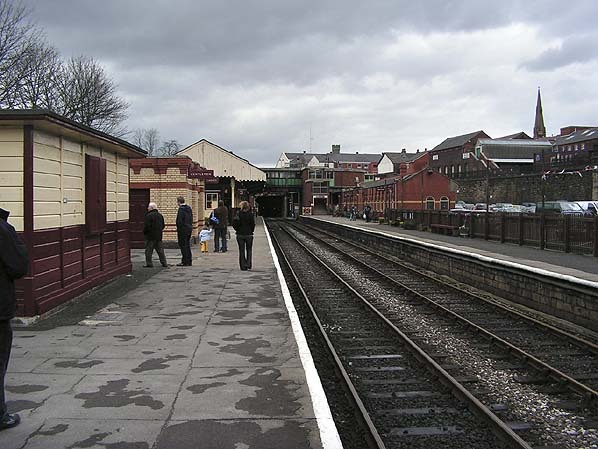 To the right is platform 2. Behind the wooden fence there had been a bay platform numbered 1. The 'new' ELR have restored track to the bay but it is not used by passenger services. The photographer is looking along platform 3. Since the ELR re-opened Bolton Street in 1987 it has become a thriving tourist destination.